Gym Management System developed by Star Link is an excellent solution for gyms with a large/growing number of members, or ones serving elite clientele. This solution is basically RFID and biometric-based which helps to identify the user and manage their timely memberships. In its working, each member is issued a membership card (smart card) which is valid for a fixed number of gym sessions, or for a particular period of time (say 30 days), or a combination of the two (say 30 sessions in 45 days); totally based on the payment policy. Once the time-frame or number of sessions expire, the machine notifies the member about the payment of renewal. 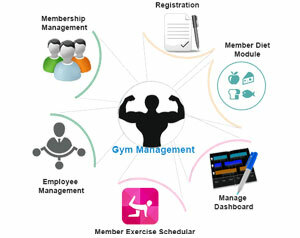 Hence, the software reduces hassle and any chances of quarrels between the members and the gym management. It can also generate multiple reports like monthly, weekly, daily, session wise. Also, in this solution, there is a provision of both postpaid and prepaid payment policies. This solution can also be used as Club Management System.